European Union passports: must be valid on the date of return. Non EU passports require three months validity on the date of return. Travellers require proof of sufficient funds and a return airline ticket. Exemption also applies for passports of British Overseas Territories. For the following passports, visa exemption applies only for biometric passports: Albania, Bosnia-Herzegovina, Macedonia, Georgia, Moldova, Montenegro, Serbia, Ukraine. 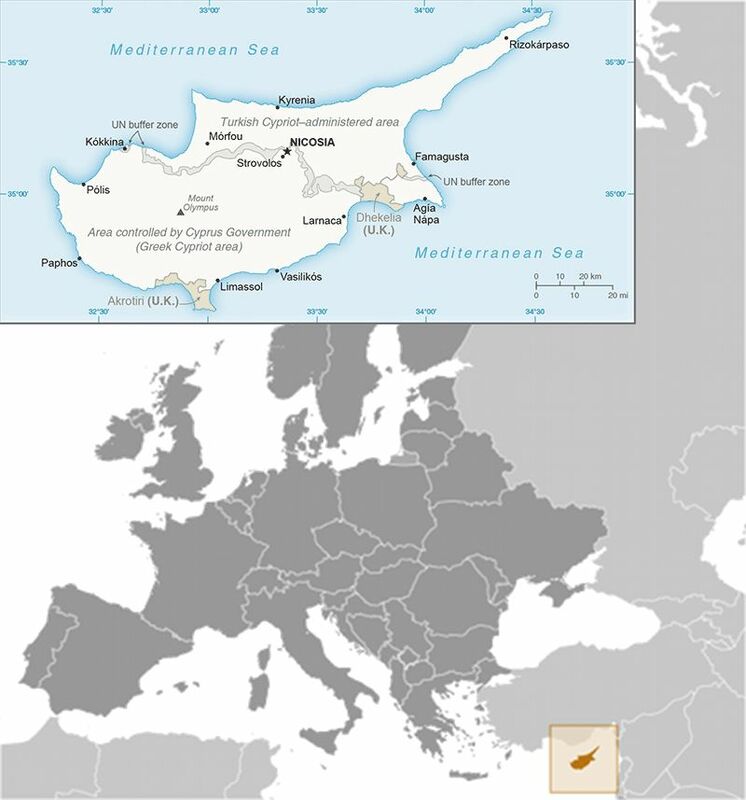 Regarding the territories under Turkish Cypriot occupation, Ministry of Foreign Affairs warns: "Currently, it is possible for foreign visitors who visit the government-controlled area of the Republic of Cyprus, to cross to the occupied areas. Staying in Greek Cypriots’ property, including hotels in the occupied areas, which are being illegally exploited, would put you at great risk of possible legal action on the part of the owners. Travelers entering the Republic of Cyprus via the illegal / closed airports and ports (i.e. all the airports and ports in the occupied areas), are in breach of national law of the Republic of Cyprus".